The aim of this symposium is to bring together leading experts and aspiring scientists to report and discuss the latest progress in functional materials as well as instrumentation development for studying these materials. Information exchange and research collaboration will be promoted through stimulating results and engaging discussion, discussion panels, video poster sessions, and mixer events of symposium participants and OIST graduate students, and other flexible interactions. Hot topics will include: organic-inorganic hybrid materials like perovskites, organic energy materials, and scanning-tunneling spectroscopy of functional molecules. Advances in photovoltaics in the past years with multiple world records over 10% efficiency have been made possible through new functional materials, e.g. organic-inorganic hybrids like perovskites, high performance semiconducting polymers, and small molecules. Perovskites in particular will be highlighted by multiple speakers; perovskite materials are proving them to be the key to promising solid-state dye-sensitized solar cells that are capable of power conversions efficiencies of over 20%. Advanced instrumentation are key to the understanding of the properties and interactions of these new materials, which is critical to optimizing their performance, extending their stability, and developing new materials and device structures to capitalize on these advances. Room and board will be covered for all workshop participants. OIST will help with arranging visas, if necessary. Travel grants are available for abstracts of merit. 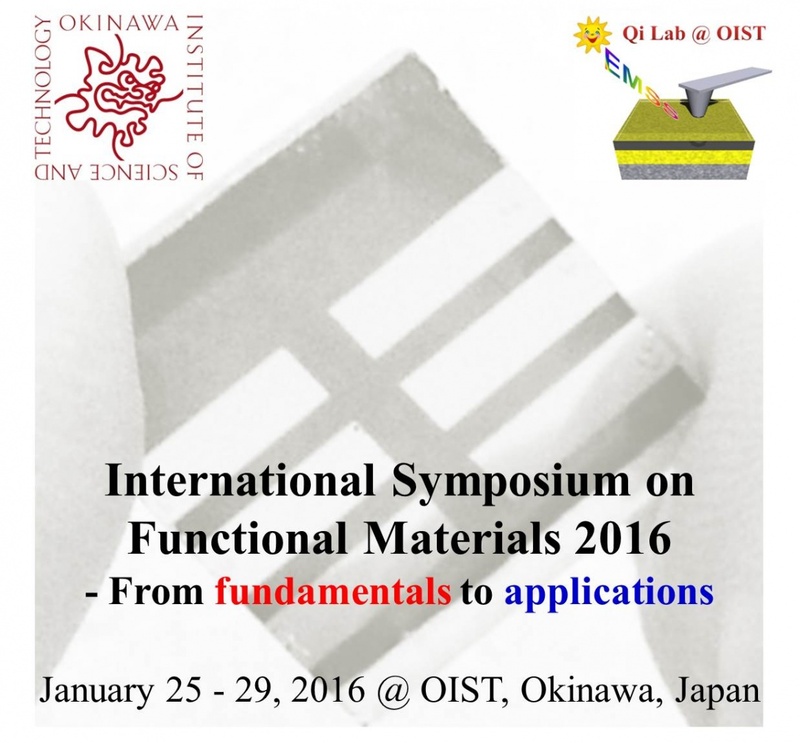 Please address questions and inquiries to ISFM2016@oist.jp.